Though it has taken nearly 30 years, Peter Mbuya, a 52 year-old farmer from Bwage Village, is on the cusp of achieving a long-cherished dream. “Owning a car has always been my vision… the goal that pushes me to develop further and continue to struggle for my family.” says Peter. 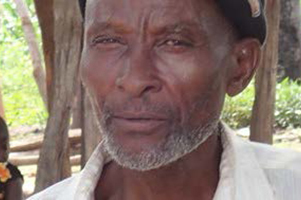 Improved access to water has changed Peter’s life. Before Winrock came to Bwage in 2010 through the USAID-funded Integrated Water, Sanitation and Hygiene (iWASH) Program, the community’s only reliable source of water for drinking and bathing was an hour from the village. The source was a permanent, but heavily contaminated river. Water transport was so arduous that it typically fell to men, who carried as many as six 20-liter jerry cans suspended from their bicycles at a time. Peter’s family of 12 rarely had enough water to meet basic domestic needs, much less for other productive uses. Peter. The lack of sanitation and water meant that the productivity of the animals was so low that they would rather have them fend for themselves than invest money and time in their health and care. In 2010, when Winrock introduced the Multiple-Use water Services (MUS) approach, things began to change. “When the [iWASH] project arrived in the area and wanted to talk about water for drinking and other activities, I must admit, we were very skeptical. You see, we were desperate, but had been disappointed so often before by [political] organizations taking money and leaving only empty promises.” However, according to Peter, the community soon started to gain confidence, largely because the project communicated in a transparent way. The Winrock team involved the community in addressing issues such as water for both domestic and livelihood activities, introducing new water technologies and discussing why and how the community needed to financially support long-term efforts. The new “kinengunengu” brooder: a low-cost housing solution that significantly reduces chick mortality. Some months after pump installation, Winrock personnel returned to discuss existing and potential livelihood options with the community. Peter, always hungry for new ideas and information, suggested poultry production. He listened critically to the proposals made by the experts and was quick to appreciate the importance of the technical information provided. “What really helped was the training. It wasn’t that we didn’t already know many things, just that we lacked the proper knowledge to help us evolve.” With Winrock assistance, he calculated the economic potential of chicken and egg production based on a strategic combination of low-cost housing for the chickens, nutrition, disease prevention and control, and flock management . Allowing for losses and other production variables, Peter estimates a conservative annual profit margin of over Tsh 6,000,000 (US$ 3,719) from his new poultry enterprise, a complement to his existing rain-fed farming activities. 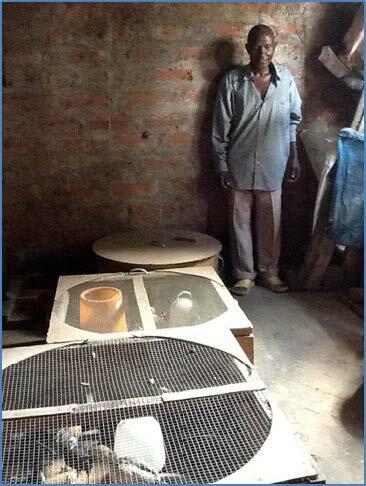 He designed and constructed his own poultry unit, scaled to accommodate batches of at least 15 laying hens at a time. He also acquired improved poultry stock and invested in the appropriate Kinengunengu Brooder technology. Peter coordinated with neighboring producers to save money by purchasing inputs such as feed and veterinary products in bulk. On the basis of market research, he decided to focus on the lucrative and logistically manageable local chicken meat and egg market.